Last weekend I had the pleasure of joining Alexandra Campbell – from the middle-sized garden – at her delightful home, as part of the Faversham Society’s Open Garden Sunday. It was a busy day with 450 visitors. Inspired by Alexandra’s garden and one of her blog posts that has disappeared as a result of technical difficulties, I’ve written this post about my top five garden foliage plants to use in flower arrangements. I’m regularly asked for recommendations for appropriate flowers to incorporate into flower arrangements. However, in order to make your budget stretch further I always suggest adding garden greenery to your buying (or cutting) list. What do you call the stuff in your flower arrangements which aren’t flowers? I favour the word foliage – it rolls off the tongue – flowers and foliage. However, I’ve found that this term can be off-putting for newbies attending class as it’s not always widely understood. In these circumstances, I refer to garden greenery. Which is fine, except if you don’t have a garden. But don’t forget, your florist will stock foliage and I know of at least one supermarket that sells small bunches of greenery, or “greens” as the Americans refer to them. But is all greenery green? Of course, not all greenery is green. As I write this blog in the first week of July I’m lucky enough to have a modest garden that has sufficient foliage to add interest to my garden in terms of its colour, shape and texture and most of it isn’t actually green. Senecio (or more accurately named Brachyglottis) has oval shaped leaves with a velvety texture. Green on the front, with a white outline to each leaf and white on the reverse. Add it to your arrangements green-side or white-side up. It has neon yellow small daisy-shaped flowers which I don’t like. I cut these off – although don’t do it too soon, as the round buds provide an interesting dimension to this foliage. There are so many varieties of Hebe, each with a mounded profile with leaves ranging in size and colour, with little spikes of flowers. With or without the flowers they’re a great addition to your flower arrangements. 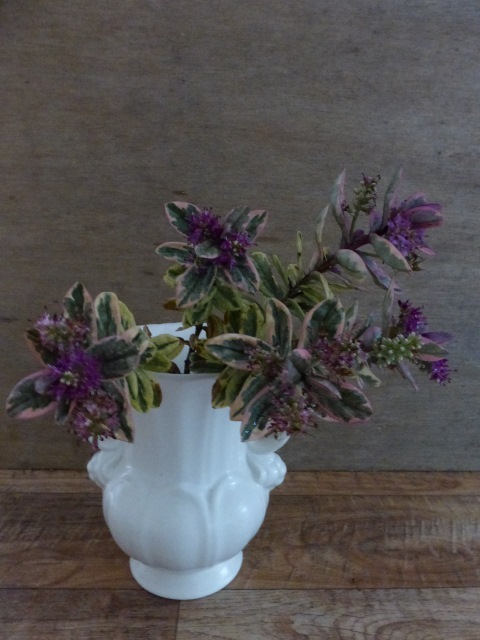 This Hebe is a larger variety, which makes cutting it a bit tricky because it becomes obvious where you’ve been at it – the shape collapses a bit and you’re left with gaps. There’s a rule in our garden. If Mr JDFW can’t see where I’ve been cutting, whatever I harvest from the garden is OK by him! 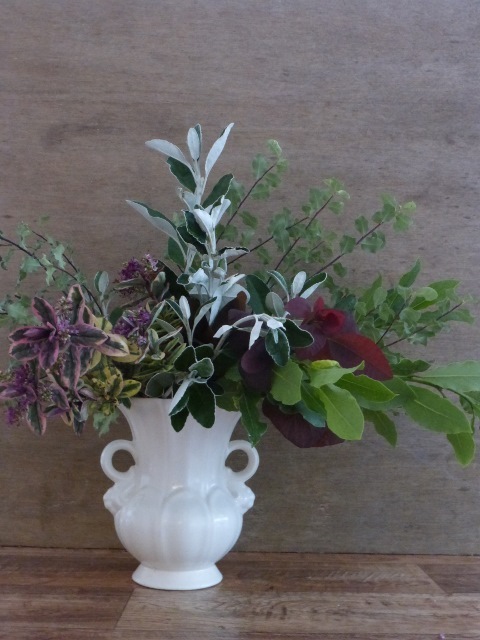 In terms of varieties the same applies to Pittosporum. There are just so many. 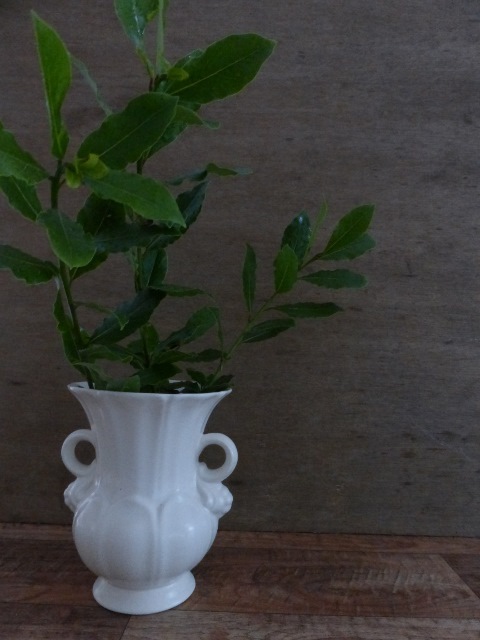 This is a quick growing shrub and can soon become more tree-like in proportion. I don’t have any large-leaved varieties. 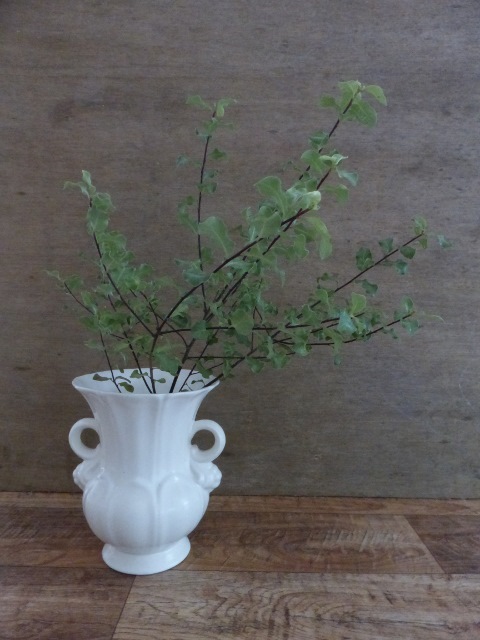 I favour the small leaved specimens which are useful when your arrangement needs “bushy” foliage to add mass to the centre, or to disguise your floral foam. I’d use it sparingly however, otherwise you’ll end up with very busy/dotty arrangements. 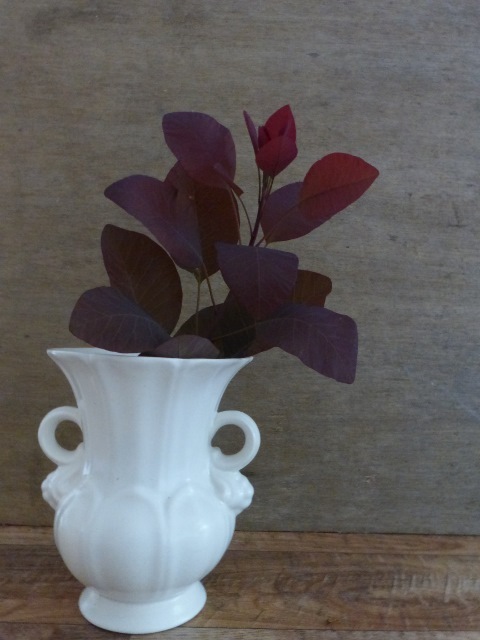 Cotinus coggygria (commonly known as the smoke bush, because of its plumes of tiny flowers). At the end of last summer we cut back our Cotinus as it was getting too big. 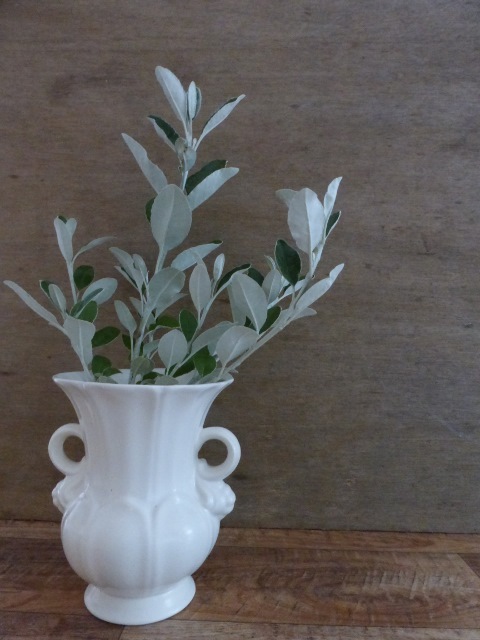 For flower arranging purposes the variety we’ve got is a little large-leaved (see Laurel above). And while being dark in colour it contrasts with your green greenery it can look like you’ve left a big hole in the middle of your arrangement if you’re not careful. I’d love to her about your favourite and most useful garden greenery for incorporating into your flower arrangements – do drop me a line in the comments box below. Don’t forget that just like your flowers, your greenery will need conditioning before you add it to your arrangement. Come and join me and Anna on Wednesday 12th August – you’ll get to hear the story of Anna’s flower farm, pick your own flowers and learn how to create your own flower crown.